We hope you will plan to join us! Your support of the national fundraiser will help raise money and awareness of TS and support the mission of the Turner Syndrome Society of the United States; TSSUS advances knowledge, facilitates research and provides support for all touched by Turner syndrome. We appreciate your support both today and in the future. My name is Natalya Winters and we invite you to come out and join us for this special walk honoring Gray Winters, as we celebrate her 4th Grayday and TS awareness! If you have any questions, please contact Deborah at deborah@turnersyndrome.org. 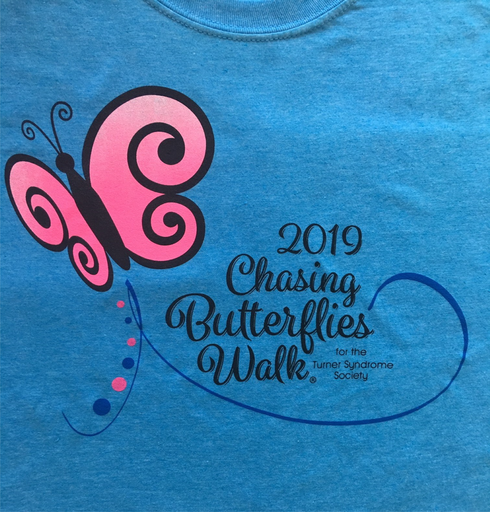 A butterfly release will take place at the beginning of the walk (9am). If you would like to release your own butterfly, you may purchase one in this registration for $3. Onsite registrations welcome. A limited number of shirts will be available on the day of the walk. Prices reflected within online registration. All Pre-Registration items will be distributed at the walk registration table.